Part of a glamorous and head-turning collection, this stunning sterling silver Links of London Aurora cluster link bracelet will complement any of your looks. Offering exquisite craftsmanship and visionary designs, the Links of London collection presents a charming blend of classic and contemporary. 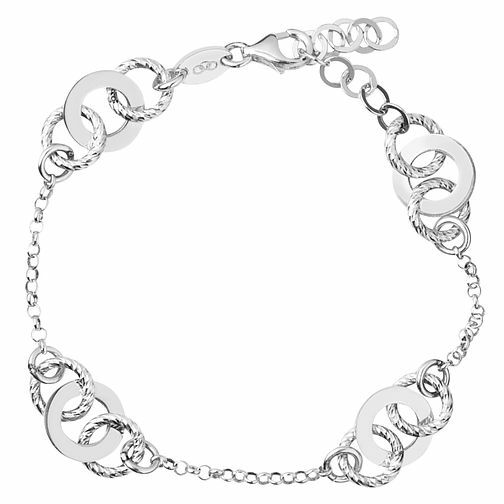 Links of London Aurora Sterling Silver Multi Links Bracelet is rated 5.0 out of 5 by 1. Rated 5 out of 5 by Anonymous from Bracelet This is a unique bracelet one of which she choose herself as she is allergic to some metals, It is styled in her taste to and not to heavy, She is thoroughly chuffed with her birthday present. Very good value for money to and eye catching.